John Wick is one of those niche-genre films coming along once in a generation that motivates and excites fans to become filmmakers. The niche-genre in this case is somewhere in the stylized-gun-play-following-a-relatable-assassin range à la Davis’s Shoot ‘Em Up,Travis’s Dredd,Bekmambetov’s Wanted, Morel’s Taken, its sequel Taken 2, the Expendables trilogy, and even shades of Neveldine/ Taylor’s Crank, Crank 2, and Gamer. 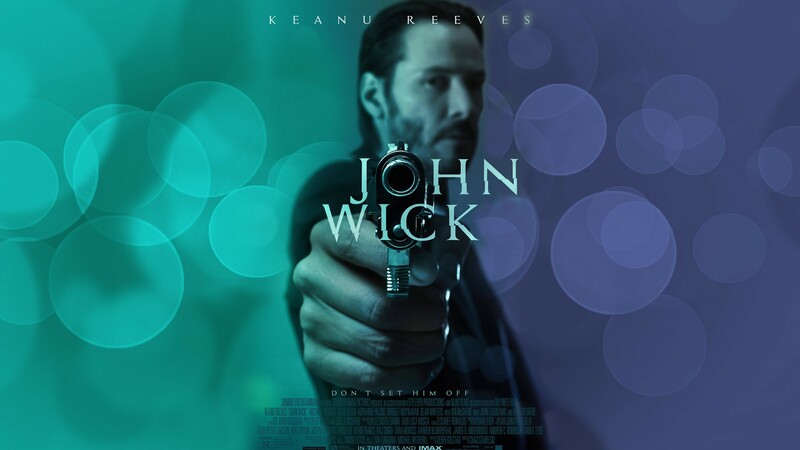 However, John Wick ends up a cut above the rest of its genre predecessors with an inspired lead performance from action legend Keanu Reeves (the Matrix trilogy, 47 Ronin), outstanding rookie direction from filmmakers and former stuntmen Chad Stahelski and David Leitch, and an unwavering supporting cast beginning with Willem Dafoe (The Boondock Saints, The Grand Budapest Hotel). The film begins at the narrative’s end as the opening scene features Reeves bleeding profusely and presumably accepting mortality in present day New York City. The audience then jumps back a few days before his current bloody circumstances. Reeves plays the titular character, burying his wife in a small funeral service. Nothing at first suggests a bloody fate for Wick with Stahelski and Leitch introducing the audience to their grieving, mournful protagonist at a quick pace before releasing full-blown mayhem. John Wick follows a slightly more different concept than similar genre films because Wick doesn’t have to avenge a child or spouse, he doesn’t get paid, he doesn’t advance socially, and the villain isn’t compelling him—he’s nobody’s puppet. Instead, Wick seeks revenge on the mobster’s son who killed his lovable pet dog and stole his ’69 Ford Mustang. As Wick’s journey unravels, the viewer realizes that his motivation is not as revenge-based as it seems, but more of just a man demonstrating that he doesn’t like getting pushed around by his old boss. Could all the violence he creates perhaps be a coping mechanism to burn off some steam following the death of his beloved wife? After all, Wick discovers that he fits back into the assassination profession more comfortably than he had primarily predicted. Reeves’ performance as John Wick really makes this film worth the price of admission. How often has one paid full ticket price to see a favorite movie star only to get a disappointing, phoned-in performance? It happens all the time in action pictures with studio heads prioritizing CGI spectacle and big names over quality acting. Not in John Wick where Keanu Reeves brings brutal intensity to his dazzling shoot-outs and emotional weight to his scenes with Daisy the floppy-eared beagle. The extended cast offers terrific performances, as well, with each thespian reveling in the fact that they’re shooting a respectively ridiculous action movie. Dafoe and Adrianne Palicki (“Agents of S.H.I.E.L.D,” “About a Boy”) play assassin peers to Wick. Michael Nyqvist (Swedish Millennium trilogy, Mission: Impossible—Ghost Protocol) plays the primary antagonist—a seemingly sensible and negotiable Russian mob boss who used to employ Wick as a hit man, giving him the nickname “Baba Yaga” or “The Boogey Man.” Alfie Allen (“Game of Thrones,” Plastic) plays the spoiled, foolish Iosef, the mobster’s son who picks a fight with Wick. Ian McShane (“Deadwood,” Hot Rod), John Leguizamo (Empire, Gamer), Lance Reddick (“Fringe,” Jonah Hex), and Bridget Moynahan (I, Robot, “Blue Bloods”) each have an extended cameo appearance. Perhaps the most delightful bit of casting was State Farm commercial star Dean Winters (“Oz,” “30 Rock”) as the mob’s hilariously nervous lawyer. 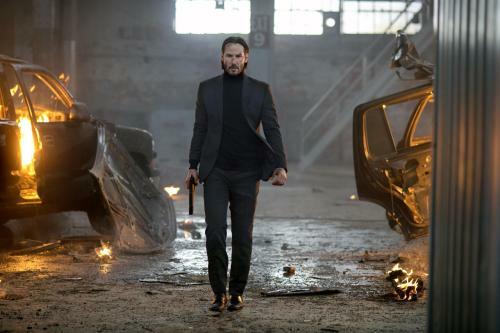 John Wick will stand as an action cult-classic for years to come in spite of its predictable ending and shaky editing, which some may find endearing without regard. First-time filmmaking pair Stahelski and Leitch direct Keanu Reeves into an intense, compelling performance that isn’t afraid to show a sense of humor at times. This isn’t Liam Neeson perpetually demanding his daughter or Jason Statham snarling at every opportunity. Who wants to see assassins take each other seriously in every movie? John Wick is a stone-cold killer with a heart (and pockets full of) gold in whom audiences can see a part of themselves. The main and supporting characters beckon prequels, sequels, and spin-offs. If Taken and Crank get sequels, why not John Wick?